Snow monkeys enjoy a respite from winter cold in steamy mountain onsen hot springs. Our most recent trip to Japan was completely different from its predecessors: We went in the winter, on a trip dedicated to wildlife photography. Seeing the best of Japanese wildlife took us to the far reaches of Japan’s northernmost main island, Hokkaido, far enough to see the off-shore islands claimed by both Russia and Japan. We had a chance to see and shoot the marquee nature stars of Japan: Snow monkeys relaxing in steaming onsen hot springs, whooper swans in an idyllic snowy scene straight out of Swan Lake, soaring Steller’s Sea Eagles and white-tailed Sea Eagles diving for fish and red-crowned cranes, dancing in a stylized courtship ritual despite a heavy snow. Snow monkeys are appealing humanoid subjects which can be closely approached in Japan. The logistics of this trip were considerable: The snow monkeys reside near Nagano, in Jigokudani Monkey Park, on Honshu, Japan’s largest island. Nagano can be reached by shinkansen bullet train in less than two hours from Tokyo. All of our other subjects required going to Hokkaido, further north and very cold and snowy in winter. While Hokkaido can be accessed from Honshu by ferry, most organized nature photography tours include flights between Tokyo Haneda and Kushiro in Hokkaido. Whooper swans in a picturesque snowy frozen lake scene in Hokkaido, Japan. White-tailed sea eagles are attracted by bait tossed from fishing boats and can be photographed at close range near Rausa, Hokkaido, Japan. Steller’s Sea Eagle swoops down successfully on a fish, tossed from a fishing boat near Rausa, Hokkaido, Japan, close enough for many passes at close photographic range. Japanese red-crowned cranes greet each other in a stylized, dance-like ritual, despite a heavy snow. Panorama of Japanese red-crowned cranes in a snow-covered field in Hokkaido, Japan. I had been pricing these trips for years and had even spoken for spots on a trip with Art Wolfe back in 2016, which never came to fruition. When I learned of Jack Graham’s intentions to run a small group (six photographers and two guides) trip for $6500, I jumped on it. Most trips run in the $10-12,000 dollar range, so it pays to shop around. Famed nature photographer Art Wolfe has a trip going to Japan next winter for 10 participants. It is for 10 days and at $12,000, is among the most expensive. It includes three days in snow monkey country and four days in Hokkaido. Luminous Landscape will be taking 12 photographers next winter for 11 days for a tariff of $10,300. This includes all meals, but like Art’s trip, excludes alcohol. Two days will be devoted to shooting the snow monkeys and five will be in Hokkaido. Wildfocus Expeditions, run by husband and wife photographers Theo Allofs and Jami Tarris, has a 12-day trip for eight people going next year for $9950. Their trip devotes two days to the snow monkeys and seven days to Hokkaido. Lunches are not included. Wildencounters is offering a 13-night trip run by Paul McKenzie and Denise Ippolito, taking eight photographers for $9499. Two and a half days will be dedicated to the snow monkeys and eight days will be spent in Hokkaido. Alcohol is excluded. Jack Graham Photo Workshops is again offering six participants an 11-day 2019 counterpart to our trip for a competitively priced $6500. Lunches are excluded, as is alcohol. 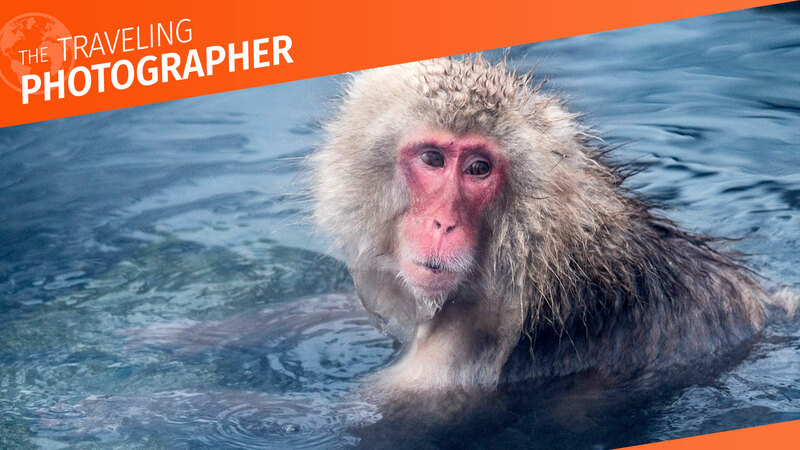 Martin Bailey, a British photographer living in Tokyo, has two sold out small group 12-day trips focusing on snow monkeys and Hokkaido. His trips include all meals, three days with the snow monkeys and nine days in Hokkaido, for a very compelling price, less than $5000! While researching this article, I found this so attractive, I put down deposits for us for 2020. What these trips have in common is someone else taking care of the transportation and lodging logistics between locations for you. All itineraries include time with the snow monkeys, Sea Eagles, red-crowned cranes and whooper swans. Where they differ is in how much time is allotted to different sites. Our itinerary included 1.5 days each in Tokyo and Kyoto, as well as a half-day in the Mount Fuji area. We spent one morning only with the snow monkeys, which our Japanese-speaking Australian guide assured us would be more than an adequate amount of time. My husband (Photofocus contributing author Steve Eilenberg) disagreed vehemently. We lucked out, with fresh snow, a hint of sunshine and perfect shooting conditions, so our single morning shooting session was very productive. This was most fortunate, as the itinerary did not allow for a do-over session. We both would have liked more time with the monkeys but it worked out satisfactorily. Our trip allotted three full days to Hokkaido, which was just enough to have an appetite-whetting sampler of what this photogenic region has to offer. Hokkaido itself, with its snowed in fishing vessels, is quite photogenic in its own right, quite apart from its appealing wildlife. It is also possible to do a similar trip self-guided. Friends of ours, after hearing about our planned trip, learning it was full and not wanting to wait for another winter, did just that, complete with driving on the opposite side of the snowy Hokkaido roads. This could be among the most cost-effective options, but requires a willingness to drive oneself, as well as assuming all of the way-finding responsibilities. Thanks to GPS, they had no great difficulty finding their way. Looking back on our trip, it was a good introduction to the highlights of wintry Japan for the nature photographer. Especially for a first-time visitor to Japan with a focus on nature, it would be a good overview and introduction to Kyoto, Tokyo and Fuji. Many more images and a more detailed description of our trip can be found on my/our personal website, Aperture Photo Arts. Martin Bailey has trip-specific podcasts on his site for an alternate point of view. As for us, we were hooked as much by the snowy, minimalist landscapes as the compelling wildlife and can’t wait to return in 2020. Hokkaido winterscape is extreme minimalism. Next up: Gear for shooting in extreme cold, snowy conditions, or what I learned from shooting in Hokkaido.